A bumper newsletter announcing some new supporters of the Australian Rhino Project with a few unique offers as we enter the festive season. In terms of the project, construction is now underway on the quarantine facility for the first shipment of the rhinos. The team at Monarto Zoo in South Australia continue to work around the clock to prepare the open plain facility and cover all aspects in terms of security, fencing and vegetation. Discussions continue with all South African parties on the specific rhino requirements and progress is being made regarding permitting and other details. We are excited to advise that for the 3rd year running, the 3 Bay Challenge team will be donating all proceeds from their event to the Australian Rhino Project. If you are interested in volunteering at the event, please contact Vincent via email. Volunteers will need to arrive at Watsons Bay by 6:30am as the registration opens at 6:45am. 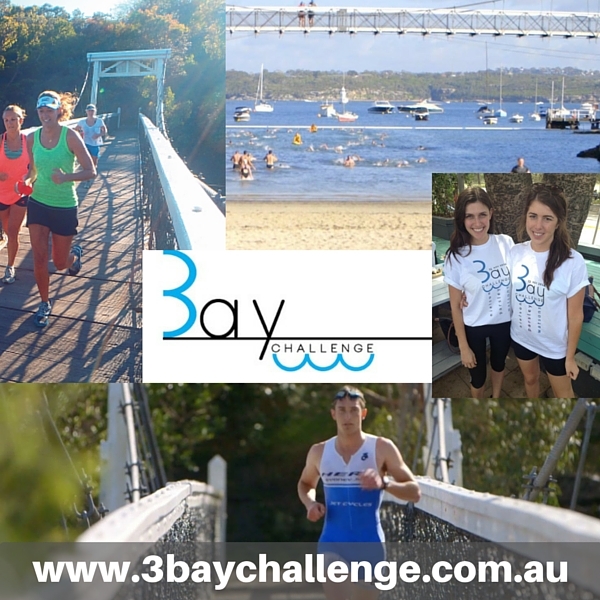 The 3 Bay Challenge is a three-stage biathlon where participants run and swim between three of Sydney's iconic harbour beaches: Nielsen Park, Parsley Bay, Watsons Bay. The event is designed to be both challenging and unique, set in an idyllic location with the background drop of the Sydney CBD. Suitable for everyone from beginners to professionals, the course consists of three running legs and three swimming legs. Total distance is 6km run and 750m swim. Marshalls and lifeguards are on course at all times. Come along for an energetic start to your Sunday morning. Following the highly successful 2017 Gala Dinner hosted by Zoos South Australia, the details for the 2018 dinner have now been announced. The event will be held at Adelaide Zoo on the 9th February from 6:30pm till late. Special guests will include Katie Sarah, the only South Australian woman to have climbed the seven summits of the tallest mountains on seven continents and environmental scientist, polar explorer and rhino conservationist Tim Jarvis AM. The evening will be MC'd by Channel 7's Jessica Adamson and all funds raised will go towards aiding on the journey to building the Rhino Management Centre at Monarto Zoo. Over the few months, we have been very fortunate to be contacted by several organisations who are keen to support the Australian Rhino Project. Each of these organisations is showing their support of the Australian Rhino Project by offering donations based on sales of their products. Pick-A-Boo is a store specialised in kids decor and cute animal-inspired clothing designs. 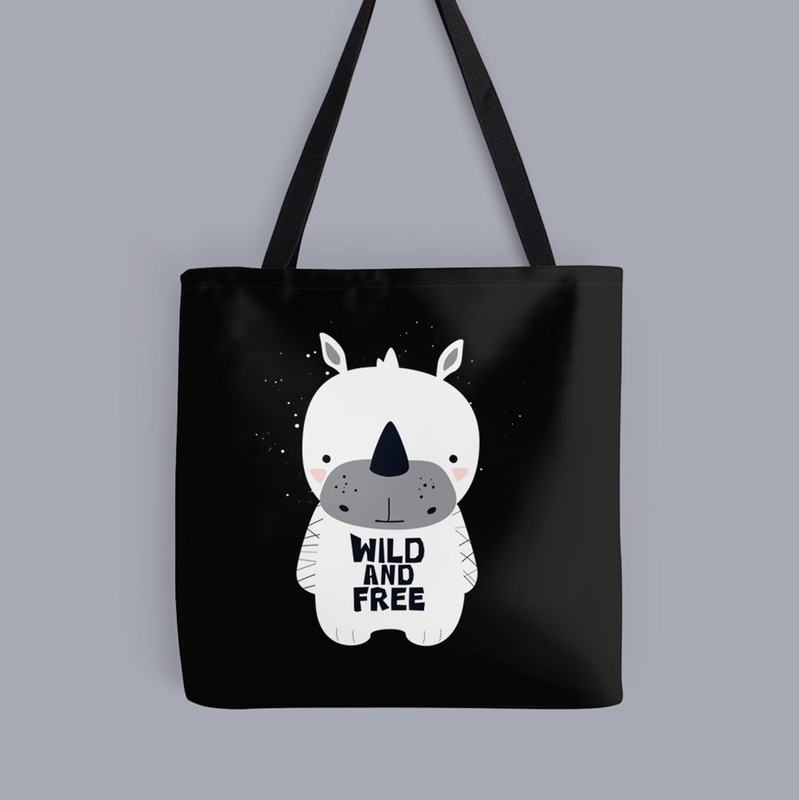 For every product sold from their Baby Rhino Collection, they are donating $5 to the Australian Rhino Project. Visit the collection here. 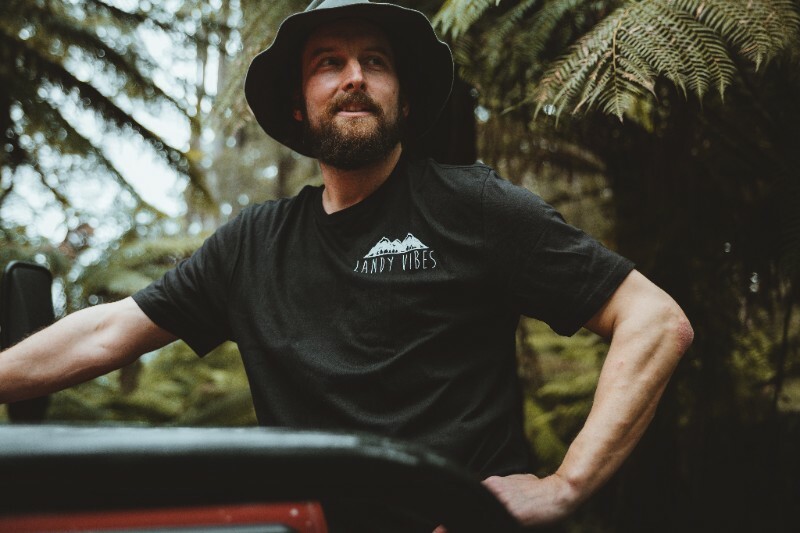 Offer a range of organic shirts and paracord bracelets with 100% of the profits going the Australian Rhino Project. Visit their store and browse their range at Landy Vibes. 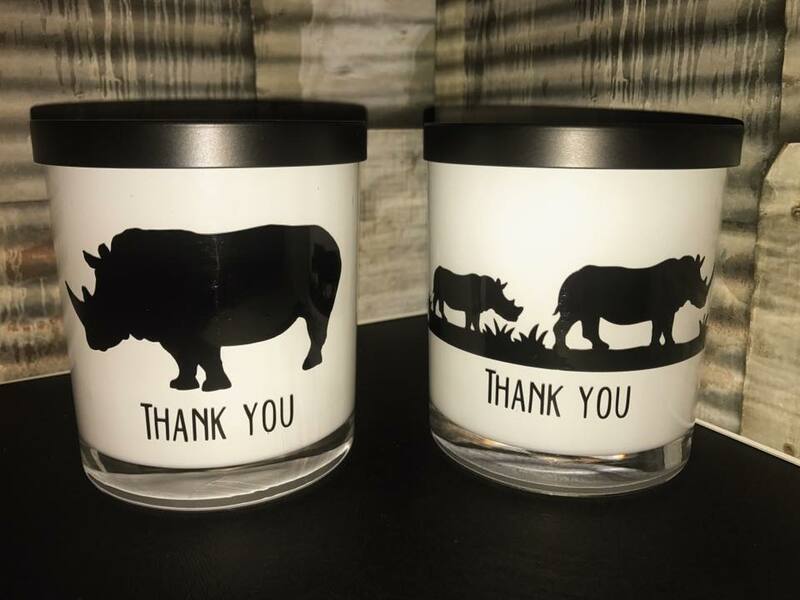 Leanne has released a very special Rhino candle range and is donating 20% of the purchase price to the Australian Rhino Project. Available in 5 different fragrances with 2 design options. Email today for more details or to make a purchase. We look forward to providing you with further updates in the next few weeks.